Green onions are gorgeous white with green stalks. Both parts are edible and make wonderful toppings for baked potatoes, soups, tacos, and more. They are a tasty addition to salads and homemade salsa, too. Occasionally I'll also add them to an omelet of egg casserole but I don't often use them for much else. So today I wanted to share a great recipe for using green onions - it's a Green Onion Vinaigrette. This received wonderful reviews at Easter Dinner. 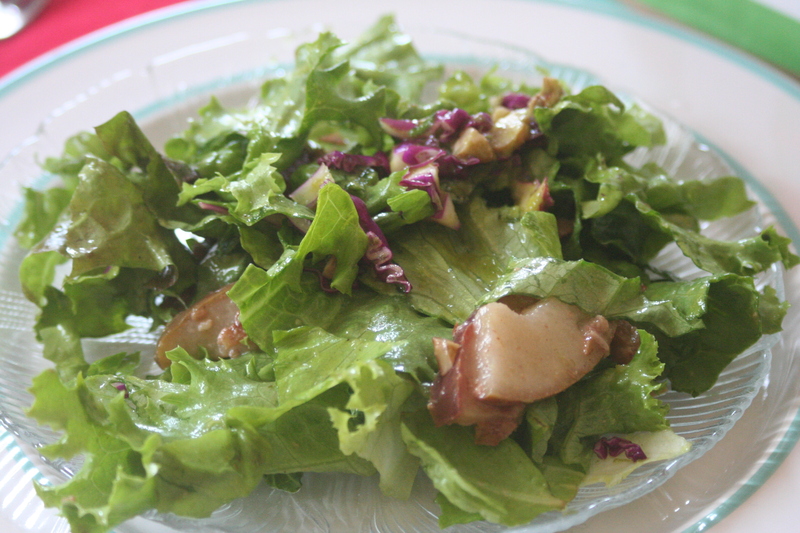 I tossed it with the lettuce and then topped the salad with sauteed pears and pecans. The sweet and oniony flavors went well together and even my boys ate it. The bright green color is all-natural! Blanch the scallions in boiling, salted water for 30 seconds then shock in ice cold water. 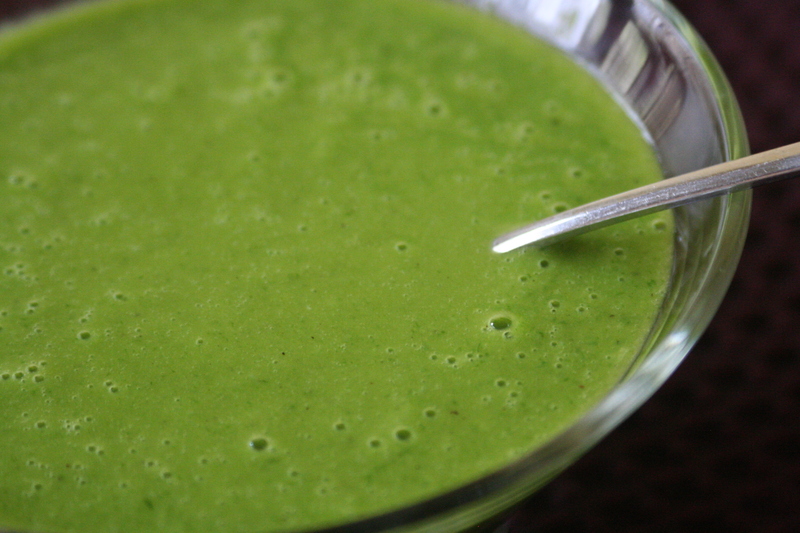 Combine the scallions, garlic, and vinegar in the blender. Process until pureed. Add the agave nectar, salt and pepper. While blender is running, slowly add the olive oil. Taste and adjust seasonings as desired.